Postage Stamp Rug collection is colorful, luxurious and very decorative. Wool rugs from a British company add a splash of bright color to the floor and create unusual and bold wall decoration. Creative and impressive wool rugs in pink, red, purple, blue, green and brown colors that look like postage stamps is a way to make your room look unique and colorful. A postage stamp is a piece of paper that is purchased and displayed on a mail item as an evidence of postage payment. Postage Stamp Rug for floor or wall decorations is a way to show your interest in modern interior design and decor and add unusual home accents to your home interiors. Postage Stamp rug collection offers wool rugs in pink, red, purple, blue, green and brown colors that can be used as tapestry or modern artwork for wall decoration. However, a floor rug with with the image of the queen is not the best way to show the respect or honor the person. Wool rugs on the wall add more interest to your room decor, matching your interior decorating colors and adding a spice to modern interior design. 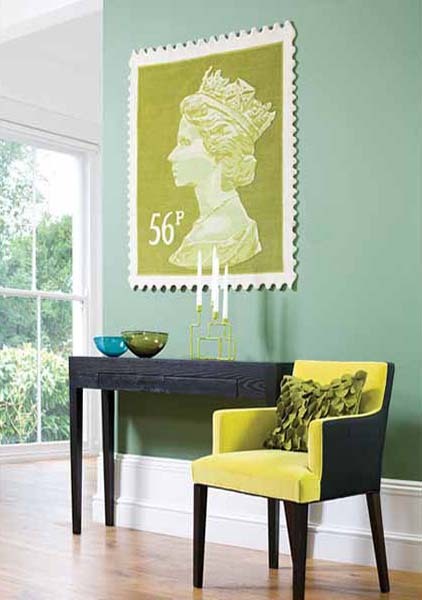 Postage Stamp Rug is an interesting decorating idea for the living room or hallway. Wool rugs, inspired by the iconic Royal Mail stamps featuring the image of a young Queen Elizabeth II look classic and patriotic. The Stamp Rug can be used as a traditional floor rug or hung as a decorative accents for wall decoration. The company has been officially granted the licence by the Royal Mail to manufacture colorful, luxurious and exclusive collection of Stamp Rugs. The collection of wool rugs has a wide palette of colors, – pink, red, purple, blue, green and brown colors, and are handmade in Nepal from 100% New Zealand wool. 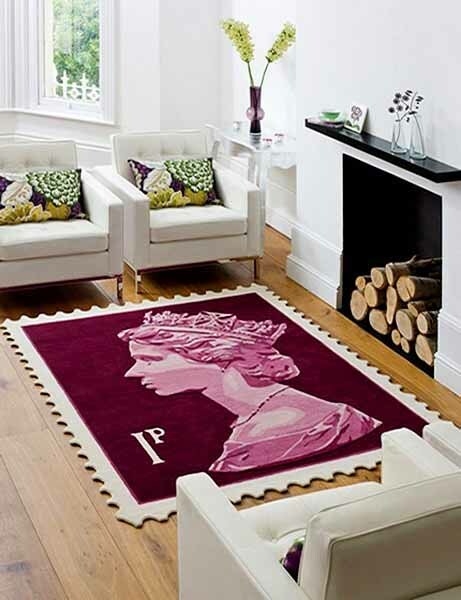 Soft and warm, bright and meaningful, a wool rug with the image of a young Queen Elizabeth II is a nice way to create a regal and elegant atmosphere in the room.